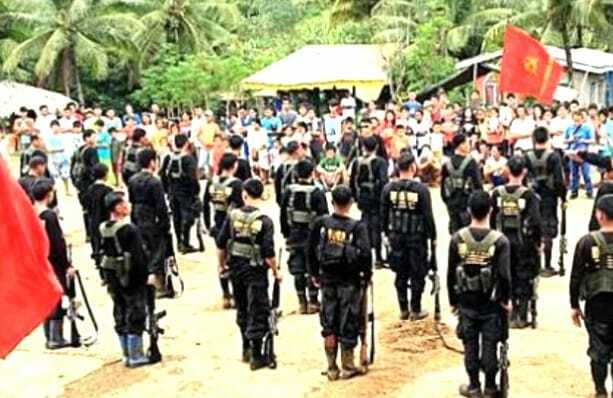 The Central Command (Centcom) yesterday praised the act of a concerned citizen in the town of Mabinay in Negros Oriental for reporting to soldiers the plan of New People’s Army (NPA) rebels to disrupt a community program supported by the military and the local government unit. Cebu-based Centcom commander, Lt. Gen. Noel Clement said the timely report by the resident led to the encounter between troops under the 15th Infantry Battalion and the “anti-development communist terrorist group” in Sitio Baliw, Barangay Bagtic of said town last Friday, February 8. Clement said the soldiers were conducting community support programs in said place when they received a report from one of the townsfolk about the plan of the NPA rebels to attack government troops attending the activity. Lt. Col. Patricio Tomales, commander of the 15th Infantry Battalion, “immediately ordered his troops to launch a deliberate action to preempt the evil plan,” Clement said in statement sent to the Philippine News Agency. “We were able to hit the enemy for about 30 minutes and later pushed them out of the encounter site, recovering several items such as one M16 rifle with 11 magazines, one Anti-Personnel Mine, one rifle grenade, one commercial radio, personal belongings, and subversive documents,” the statement quoted Tomales as saying. There were no reports of casualties on both sides. Clement, however, said the blood stains along the enemy withdrawal route suggest that the enemy suffered gunshot wounds during the firefight. He also emphasized the motivation of the soldiers who managed to quell the plans of the NPA rebels. “This victory is a testimony of courage coupled with strong determination of our troops who are helping the local government units ensure full implementation of programs that will alleviate the socio-economic problem affecting their localities,” Clement said. He reminded the people in the Visayas on the rebels’ stance on development. “The evil plan however, is a solid proof of NPA’s anti-development stance to keep people drenched in poverty. Their pathetic move didn’t work this time. The people, to whom we dedicate our service, are now actively reporting the enemy’s presence and activities in their barangays. We are happy that they fully understand and support the government’s peace and development initiatives,” he also said.